Make your inbox a little greener! Subscribe today! Hello garden gals and guys! 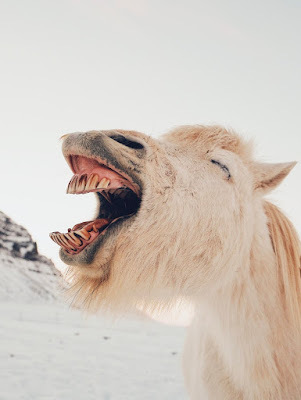 I've got a joke for you: what's small, white and laughs a lot? Can you guess what this week's post is about? That's right, onions. 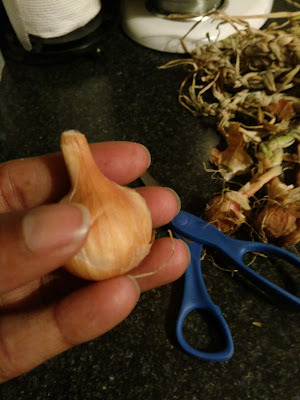 Shallots to be more specific. 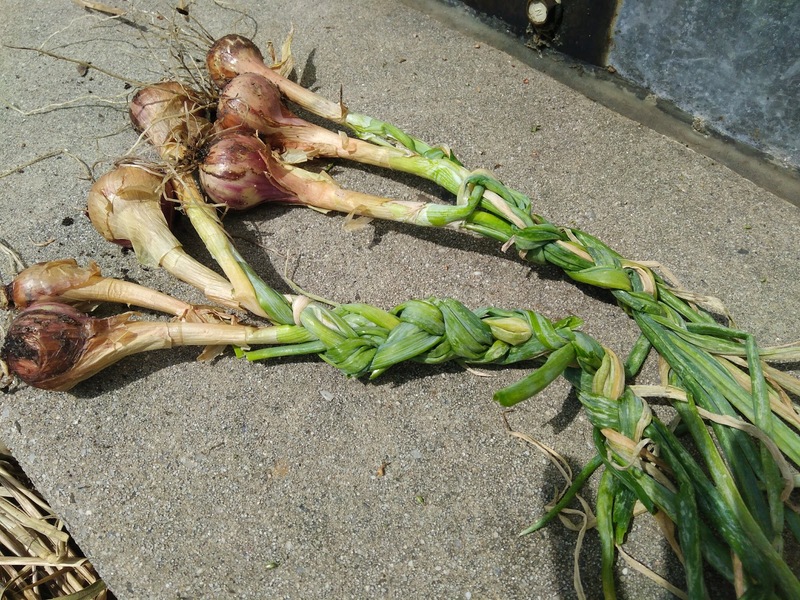 My shallots were finally ready to be harvested. I knew it was time because the tops were laying over and the tips were brown. 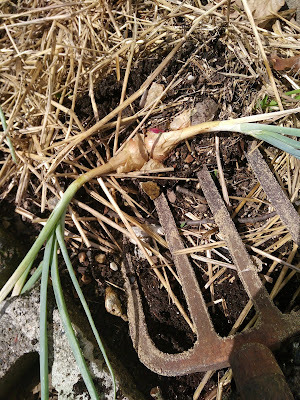 So I got my spading fork and dug carefully around the onions and began to dig them up. 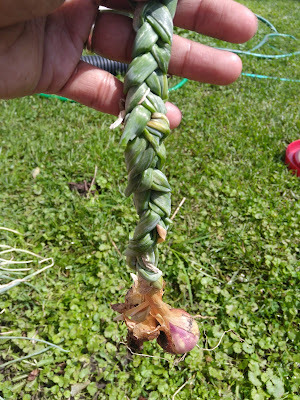 Next, I brushed the soil off them and braided them. 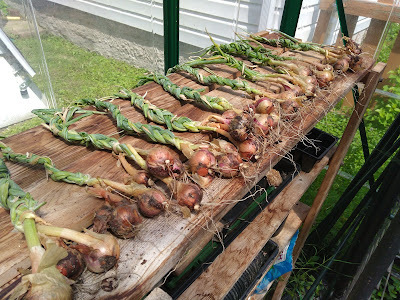 Then it was into the greenhouse for two weeks to let them dry out. After they were finished drying, I separated them and cut the tops off. 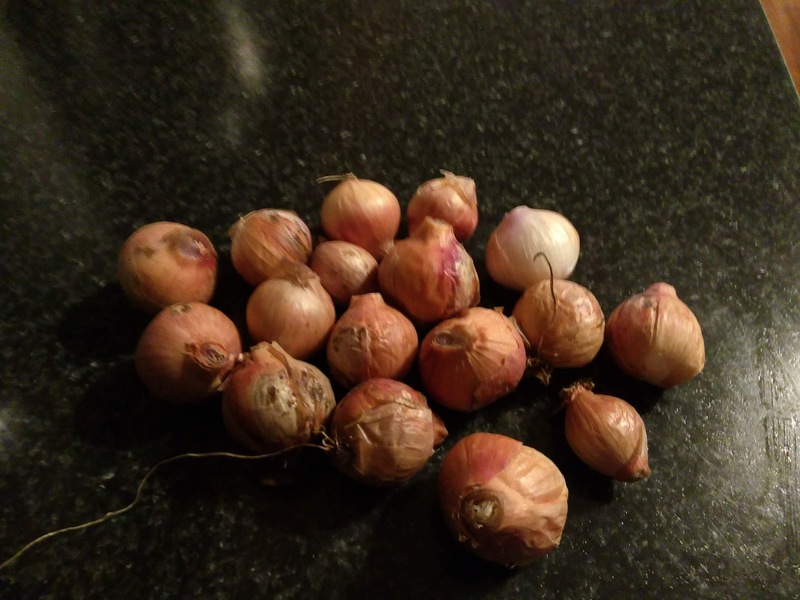 Unfortunately, about half of my shallots were kind of soft so I had to throw them out. My hubby reminded me that some loss is normal which is why farmers grow acres of onions. Well, I'll just be happy with my little harvest. To store these, I'll keep them in a mesh bag in a cool, dry location. Now let's talk insects. Here's one that my son noticed on the front door. I've seen them around the yard but paid them no mind. When my son asked what it was I had to look it up. It's called an Ailanthus webworm moth. It's a great pollinator, but does minimal damage to plants. They are pretty neat looking. What I think is cool is they fold their wings around their bodies. You can sort of see that in the picture above. If you see one of these little guys around there's no need to panic. So...that's it garden gals and guys! 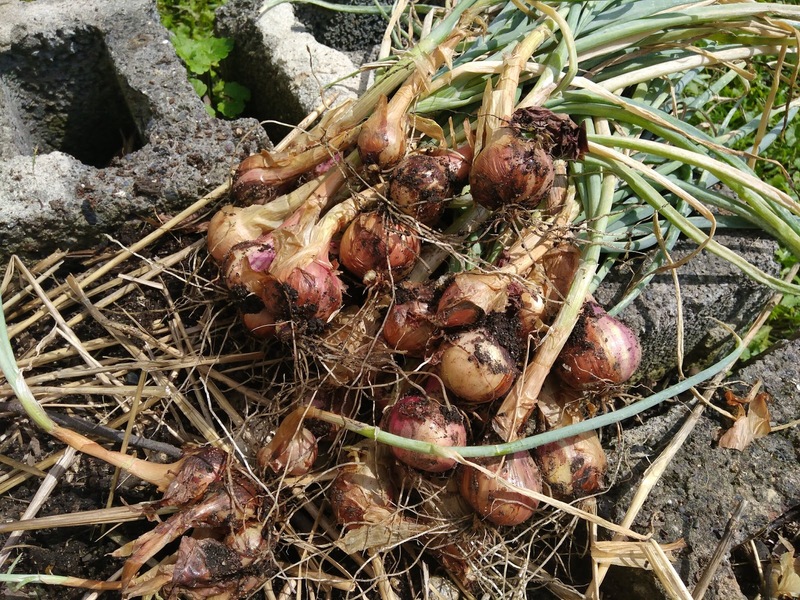 I've never grown shallots but I have grown multiplier onions and some of those end up soft too. Wish I could figure out something to do with them. I've never seen that kind of moth. 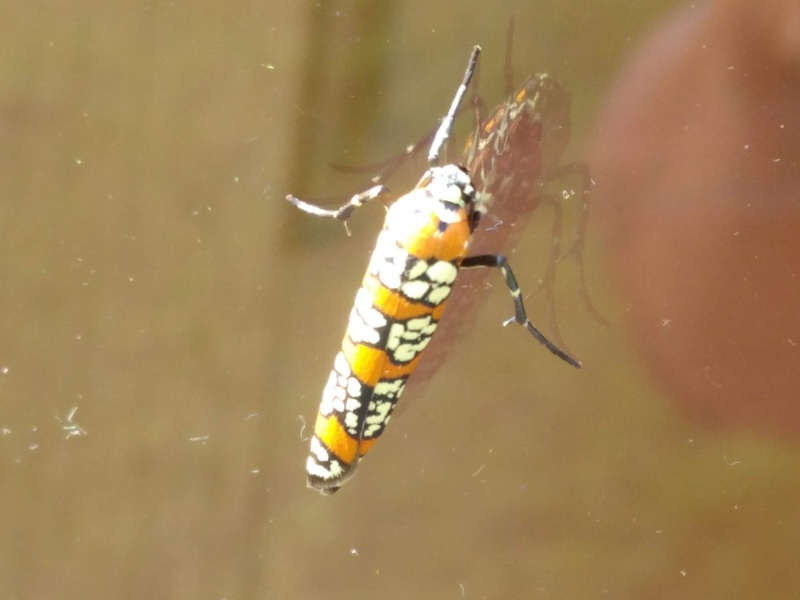 Our webworm moths are pretty destructive and not so pretty! I would love to grow some larger type onions but I just don't have the space, especially when you consider you may lose some to disease. That moth is an interesting little fellow, isn't he? Hi Audra! Your posts are always right on time! I was just out in the garden yesterday wondering "when do I do something with these shalllots, onions & garlic?" 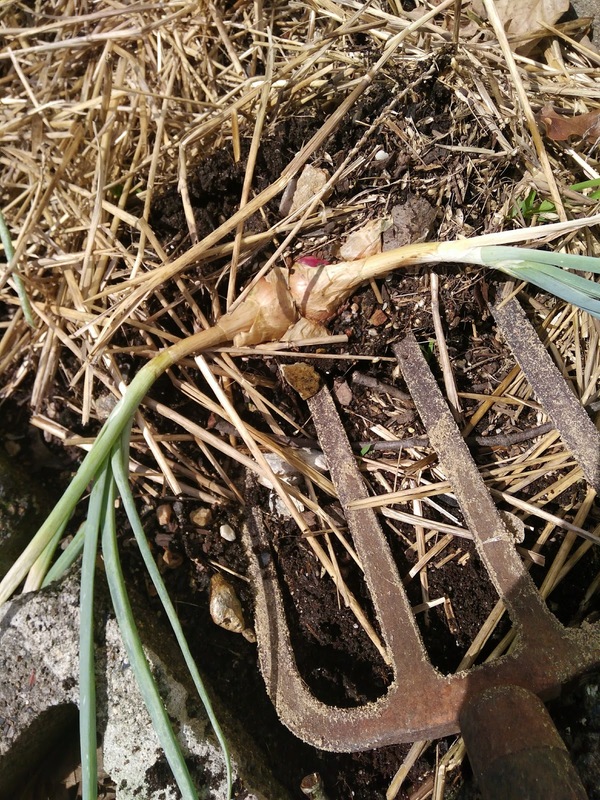 Now I know what to look for with the shallots! THANK YOU! 1 question... what happens if they are not braided & dried? Hey, girlfriend! I'm glad my posts are helping you! 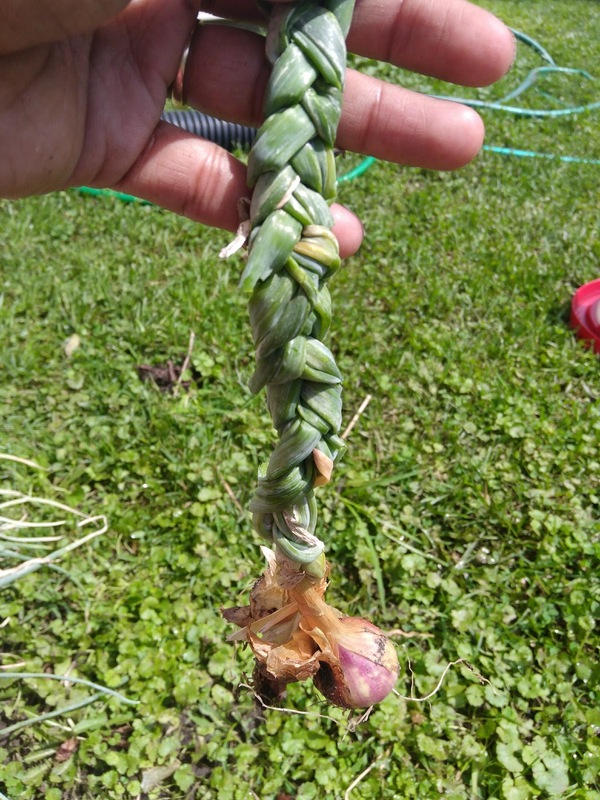 You don't have to braid your garlic or onions, that's completely aesthetic. However, the drying out part allows them to store properly.